LTM4678 is a dual 25 A or single 50 A step-down μModule (power module) DC/DC regulator from Power by Linear™ / Analog Devices’. The LTM4686 is a dual 10A (12A Peak) or single 20A (24A Peak) step-down µModule® (micromodule) DC/DC regulator with 39ms turn-on time. Power by Linear™ / Analog Devices’ LTC4291 and LTC4292 are 4-port power sourcing equipment (PSE) controllers designed for use in IEEE 802.3bt Type 3 and 4 compliant Power over Ethernet (PoE) systems. LTM4646 from Power by Linear/Analog Devices is a dual 10 A or singular 20 A output switching mode DC/DC power supply. The LTC7000 is a fast, protected, high side N-channel MOSFET gate driver that contains an internal charge pump allowing the external N-channel MOSFET to stay on indefinitely. The LTC2358 octal ADC adds FET-input analog buffers to the performance and flexibility of the LTC2348. 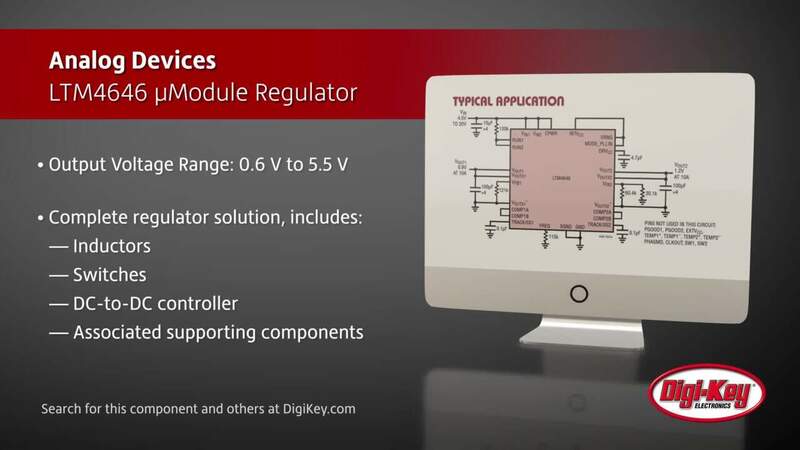 These buffers allow the signal conditioning to be designed around the needs of the signal, rather than the needs of the ADC. 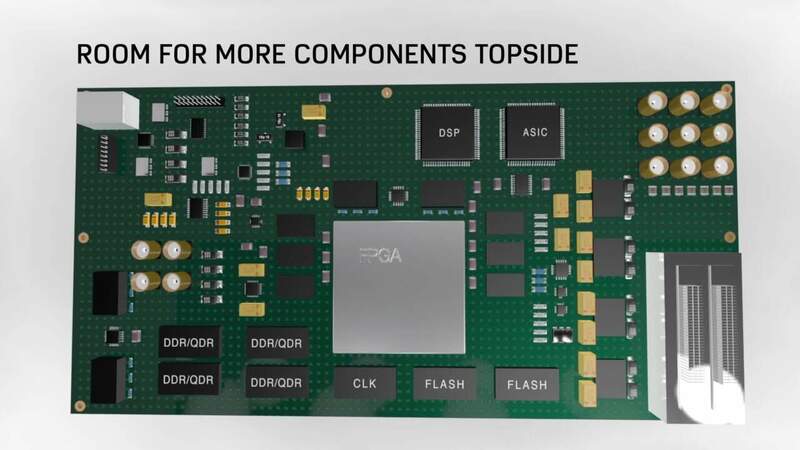 The LTM4643 is a quad output step-down µModule® (power module) regulator, configurable as a single output (12A), dual (6A & 6A or 9A & 3A), or quad (3A each) regulator in a 9mm x 15mm x 1.82mm ultrathin LGA package. The LTC3871 is a bidirectional synchronous buck or boost controller to step-down or step-up the voltage between the 12V and 48V batteries in dual battery automotive applications. The LTM9100 provides a completely integrated isolated hot swap control and communication interface with isolated power. The LTC5596 is a high frequency, wideband and high dynamic range RMS power detector that provides accurate, true power measurement of RF and microwave signals independent of modulation and waveforms. The LTC2500-32 is a new and enabling approach to high-bandwidth, precision applications such as automated test equipment, control loops, seismology, and precision data acquisition. The LT8672 is an active rectifier controller with reverse current protection that can replace the diode. The LT8672 operates at the input range between 3V and 42V with only 20uA quiescent current. Silent Switcher® 2 products address this need by providing 2MHz solutions with high efficiency without compromising EMI performance. The LTC2063 enables precision measurement at extremely low power levels. The LTC2063 operates from 1.7V to 5.25V and features a shutdown mode which is optimized for battery-powered and duty-cycled applications. The LTC7103 is a 105V, 2.3A, synchronous step-down regulator that incorporates a proprietary architecture in a small 5mm x 6mm QFN package to achieve ultra-low EMI/EMC emissions without sacrificing efficiency. SmartMesh IP products are wireless microchips and embedded printed circuit boards, complete with Wireless Sensor Networking software that reliably connects sensors in harsh industrial environments.